James is a freelance digital designer and developer. 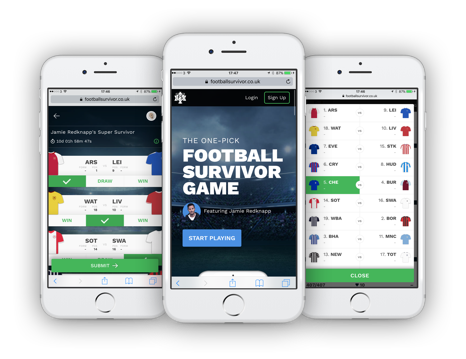 A football survival game for the Premier League. 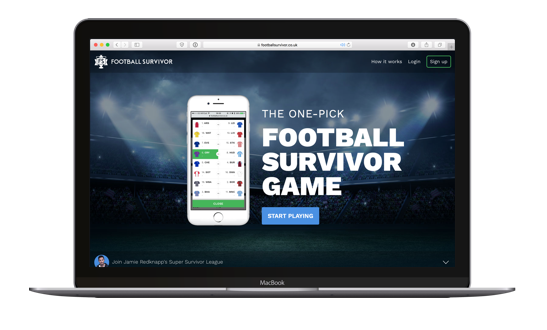 Football Survivor is a game fans play against each other in leagues for cash prizes. 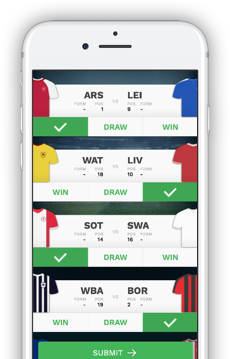 Each player picks one team to win each week, losing lives each time their team loses. Teams can’t be picked twice so a careful process of elimination is required to survive. 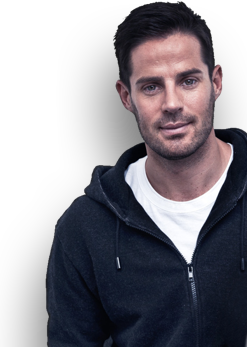 Jamie Redknapp became our brand ambassador at the start of the 2016/17 season which saw him run our Super Survivor weekend game. I design apps and websites and build projects such as this. A 4-letter word game in partnership with BBC’s QI. 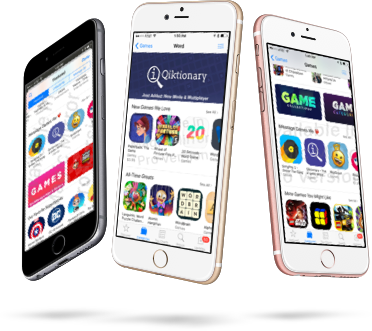 Qiktionary features regularly on the US and UK App Stores, iMessage App Store as well as on the iOS 11 Today tab. 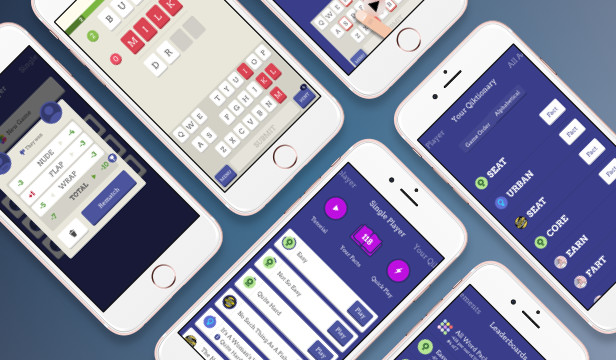 Qiktionary is an easily-learnt, not-so-easily-mastered word game where players use logic and deduction to unlock hidden words and so earn facts provided by the BBC TV show, QI. 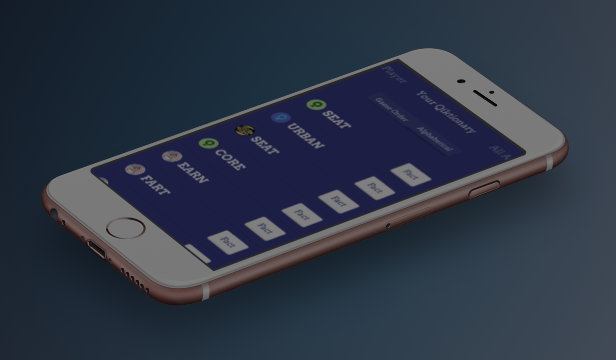 Each QI fact is added to a players' 'Qiktionary' â€“ a dictionary of interesting facts pertaining to each unlocked word. The game has been downloaded over 200,000 times and is regularly featured by Apple in the App Store. 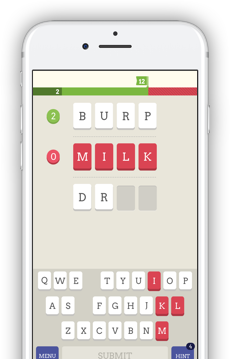 I co-founded the company that produced Qiktionary as well as being its lead designer. 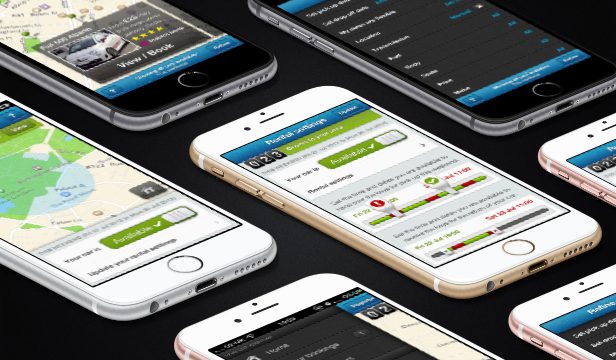 I design smart and intuitive user experiences across multiple platforms including web, desktop and mobile. Turn your text messages into video mashups. 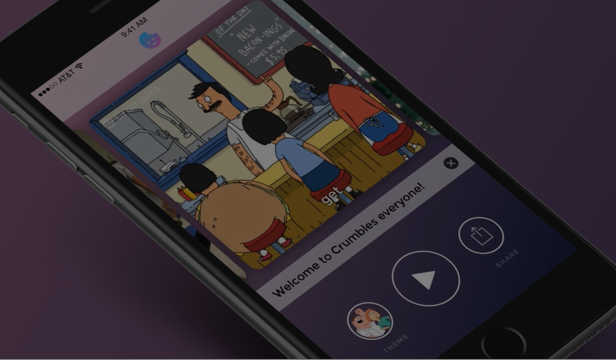 Crumbles was a weekend hackathon creation that turned into a viral web hit. 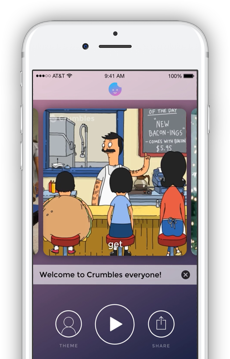 We quickly created Crumbles as an iOS app, allowing users to turn their text messages to hilarious video mashups to send to friends. 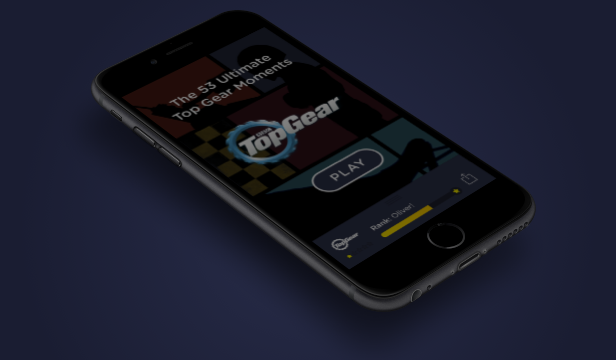 Turning great video moments into video quiz games for mobile. 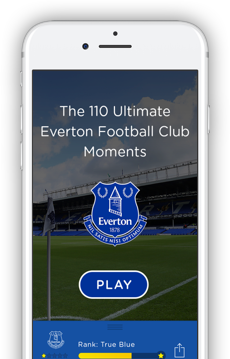 I co-founded PlayVideo with the aim of turning great video moments into a series of video quiz games for mobile. 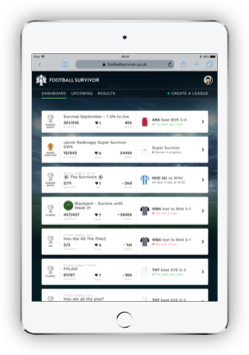 PlayVideo’s goal was to provide a new way of monetising the video archives of digital content owners by giving them a new platform for existing fan bases to consume video content in an engaging and fun way. 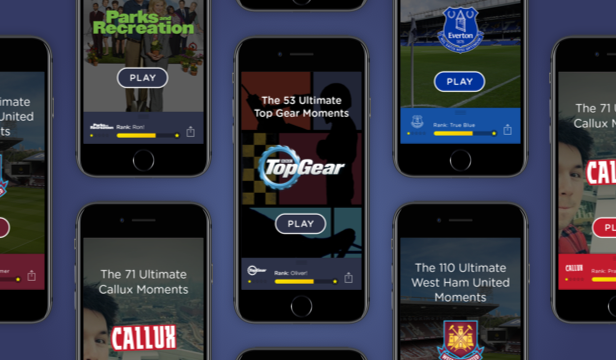 We partnered with West Ham United, Everton Football Club, Top Gear (via BBC Worldwide) and popular YouTubers to launch a series of individual video quiz games for iOS, directly marketed towards their core audiences. I’m always looking for interesting projects and people to work with so do get in touch if you’d like to say hi. 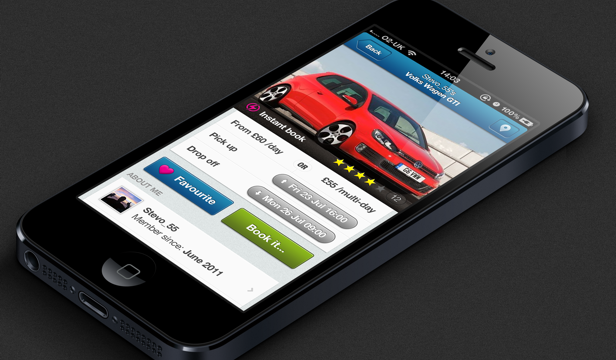 The world’s first peer-to-peer car rental platform. 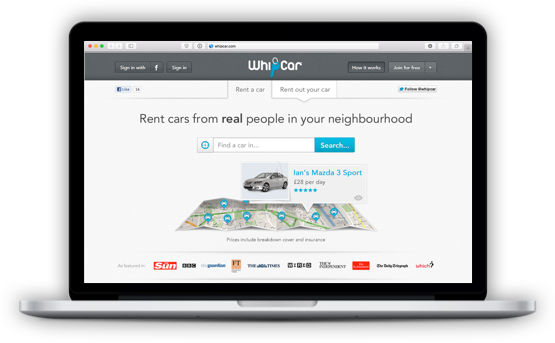 WhipCar is the world’s first peer-to-peer car rental platform, allowing car owners to rent their car to drivers in their neighbourhood. WhipCar was available in over 400 towns across the UK and had a fleet of more than 50,000 cars. 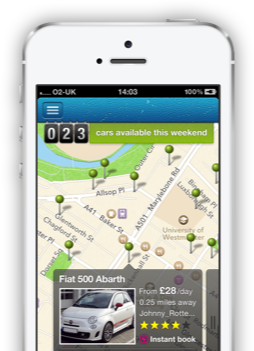 I was head of product, responsible for heading the design development, including UX and UI design and user testing of the WhipCar service. 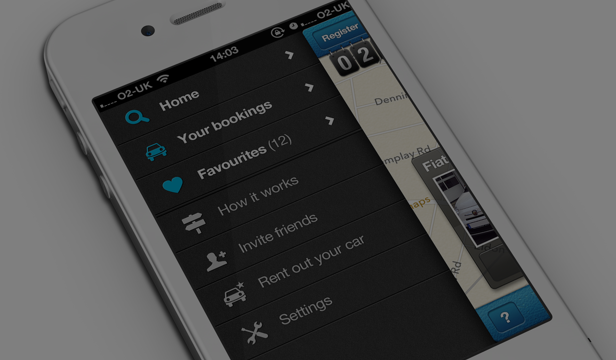 I also designed and led the development for Weekend, WhipCarâ€™s two iOS apps for car owners and drivers. James Ritchie is a digital designer based in London.